Regardless if it’s a new city for you or a tried-and-true destination, a leisurely walk or early-morning jog is a delightful way to open your eyes to new corners of an area you may have previously missed – perhaps a tucked-away café, an eclectic boutique or an under-the-radar museum. No matter where I travel in the world, I always aim to stroll through a new neighbourhood and come away with a fresh point of view. Given the thousands of hours I have spent in London, it would seem like there is little more for me to discover … and yet, these insightful suggestions from friends in the city intrigue me and reintroduce me to a place I so dearly know and love. Big John at The Goring is a font of information and, in particular, recommends London Walks. He will happily arrange private walking tours with this expert team, on a day and at a time that suits your schedule. Try the “Hidden London” stroll, a peek at tucked-away and forgotten nooks and crannies with a highly entertaining guide who easily blends the historic and the bizarre of London’s past. There’s even a Beatles walk, visiting the film locations for A Hard Day’s Night and Help, stopping by the registry office where two of the bandmates got married, and glimpsing the house where Paul and his glam girlfriend Jane Asher lived for a time. If its greenery I’m after, and a little peace and quiet before a day of meetings amidst the city’s hustle and bustle, I head to one of the Royal Parks for a scenic jog. St. James’s Park, surrounded by three palaces, and the oldest Royal Park in London, is a favorite – for a longer run, it is easily combined with a Green Park circuit. Green Park itself is spread out over 40 acres, and together with St. James’s Park and Hyde Park, forms a delightful chain of open spaces. The official Green Chain is a 50-mile walk – certainly not something I would accomplish at once – and extends from Lesnes Abbey to Crystal Palace Park. It is easily broken up into 11 section pieces, all of which are a rewarding choice for a walk or jog. 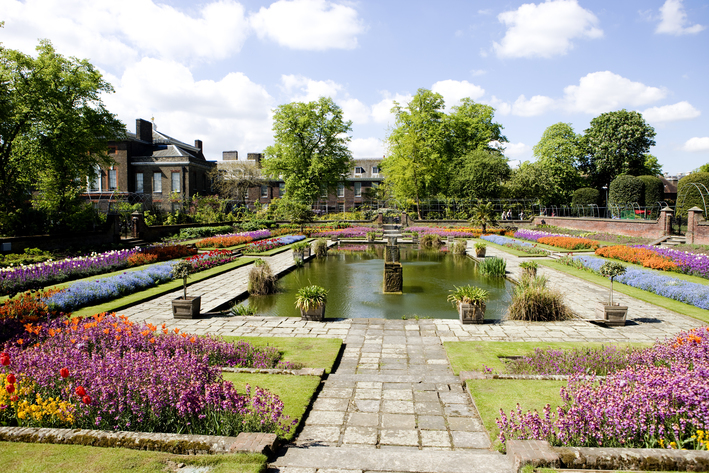 So much to see … depending on your endurance, there are running tour companies that will have you revving up your heartrate and sightseeing all at once, from Hyde Park and Kensington Palace, to The Royal Albert Hall and Buckingham Palace. The Goring’s Big John is more than happy to provide direction for everything from a quick morning stroll ending at a secret café, to a training run that winds through sleepy neighbourhoods and parks, and along the river. Annie, at Original Travel UK, is an expert source when I’m looking for a quick and quiet escape in the city. 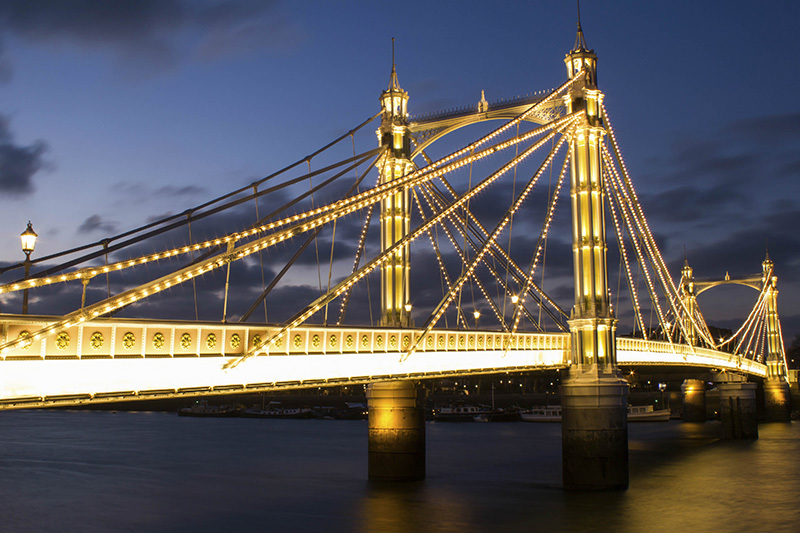 Her favorites include Battersea Park, a tucked-away running spot through a beautiful park, complete with a Victorian bandstand and peace pagoda. At sunrise or sunset, include a jog over the two pedestrian bridges, all lit up, and you’ll feel like you have the place to yourself. The towpath along Regent’s Canal is flat and traffic-free, and a favorite of locals and out-of-towners alike. 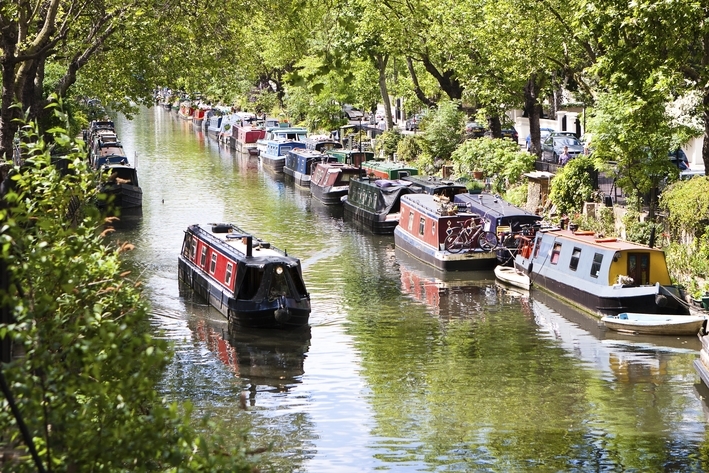 Glimpse the charming houseboats as you run through hip East End and savor the tranquility of Little Venice. One of my favorite all-day outings – suggested, again, by Annie, who knows a thing or two about these parts – is a stroll along the Thames Path from the London Eye to Greenwich. Along the way, you’ll take in the famous sites of London as you pass the Eye, and catch beautiful views of the Houses of Parliament before heading towards the city. 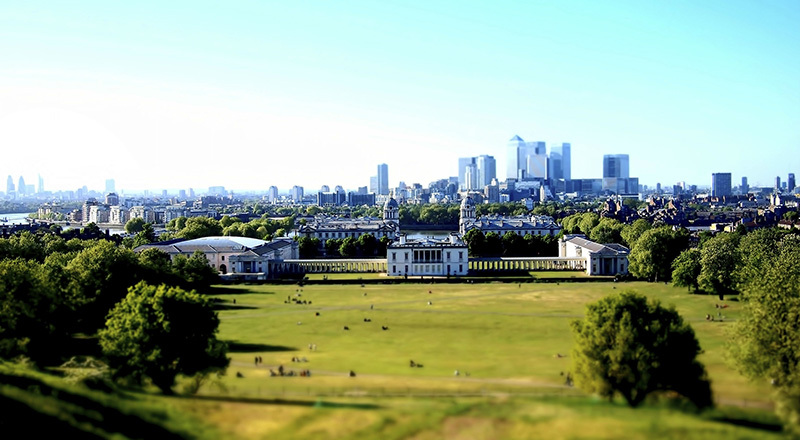 Greenwich has a beautiful village feel – take the chance to rest your legs with a traditional pub lunch before enjoying the museums and Cutty Sark. Then, catch the river boat back to central London. A day well spent!